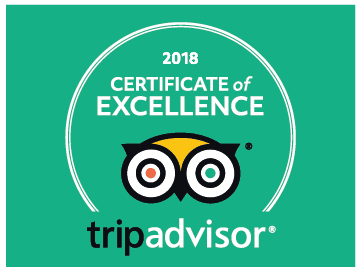 Albania Holidays announces with great pleasure that it has received a TripAdvisor Certificate of Excellence 2018, reflecting the great reviews that we have consistently earned on TripAdvisor. This is a recognition from Trip Advisor, the world's largest travel site. 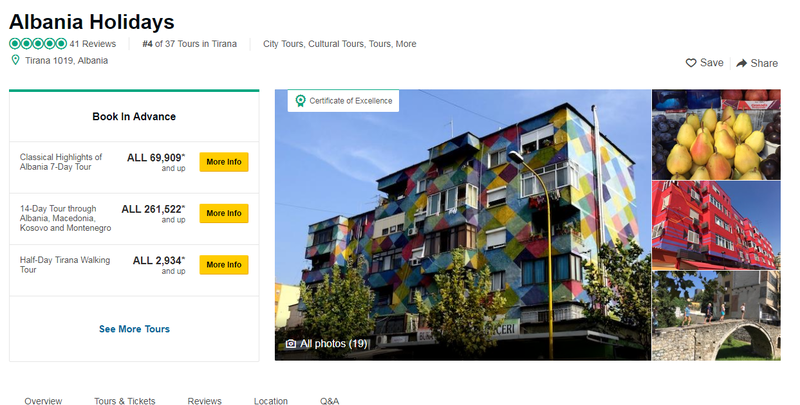 We are very happy to receive it and will continue working toward making the most for every visitor or group of tourists that choose Albania Holidays. Only the top-performing 10 per cent of businesses listed on TripAdvisor receive this prestigious award. To qualify for a Certificate of Excellence, businesses must maintain an overall rating of four or higher, out of a possible five, as reviewed by travelers on TripAdvisor, and must have been listed on TripAdvisor for at least 12 months. Additional criteria include the volume of reviews received within the last 12 months. The Certificate of Excellence award provides top performing establishments around the world the recognition they deserve, based on feedback from those who matter most – their customers. Albania Holidays a leading Destination Management Company invites you to be part of a unique experience, discovering an unknown but fascinating country. Albania has much to offer: a sunny Mediterranean climate, delicious food, kind and welcoming people, a laid back attitude, a rich history, an old culture, unique traditions, beautiful landscapes with mountains, rivers and a magnificent coastline. Visitors to the country describe Albanians as warm and inquisitive, happy to see foreigners. Albania Holidays can assist you to discover the country in the most authentic way by offering tailor made solutions for groups & FIT-s, with a focus on the local elements: history, culture, traditions and way of life. We provide professional arrangements for: tours, events, venue selection, team building activities, shore excursions for cruises and more.